Although Turkey has historically been one of the great rug-making countries, their contribution to the world market of pile carpets has fallen significantly. This is primarily due to the rising cost of labor, especially for rug weavers. As Turkey takes its place among the more economically advanced nations, salaries are naturally higher. 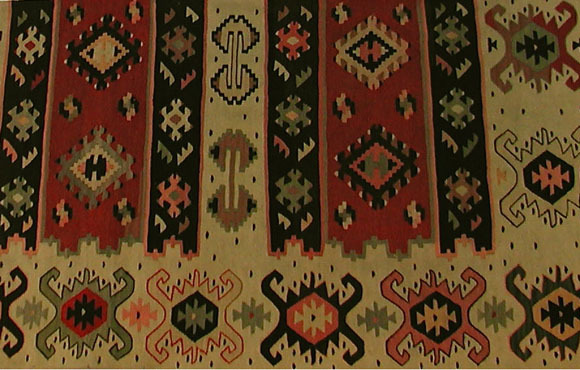 Turkish kilims (also called flat-weaves) are still produced in abundance. The top picture is of one of our fragments of a 19th century Turkish kilim. The other two kilims are so beautiful that we have hung them on the walls of our house for better viewing.